Learning to code isn't the only progression for a tester. Find and follow your passion to travel a career path that is truly rewarding. I'm not saying that coding is bad and we shouldn't do it. I'm saying that it isn't the only way to diversify and upskill as a tester. If you don't enjoy coding, then why take that career path? There are so many opportunities to choose from and learning is much easier when you're truly interested in the topic that you study. Try to find something that you're excited about. There is nothing more frustrating than missing a bug; watching a colleague discover something that you feel you should have found first. I think the first path for every tester is learning about how they and others think. Why do you test the way that you do? 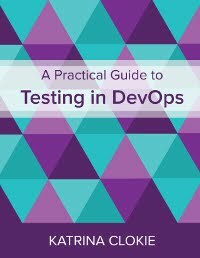 Are there other test approaches that you could learn and attempt to implement in your organisation? What are the benefits and pitfalls of each? Software for mobile platforms is increasingly popular and demands a particular set of testing skills. Thinking about the environmental factors that can influence mobile application users is an interesting problem. If your application is frustrating or difficult to use, then it doesn't matter how brilliant the code is underneath. Yet few people dedicate study to the aspects of an application that make it appealing and engaging for users. Do you like to push at the limits of an application? Do you enjoy statistical analysis? Performance testing examines the behaviour of software under specific use scenarios. Is your application safe from malicious or accidental mis-use? Have you thought about vulnerabilities and how they might be exploited? Security testers look for the loose threads that they can pull to create a hole. We may have a perfect application in an isolated environment, but when we deploy it to interact with others there are any number of issues. Testers who understand how applications speak to each other, and how to test these connections, are very valuable. Knowledge required for integration testing will vary based on architecture. Are you interested in motivating a team? Do you enjoy communicating and being a conduit for information? Are you happy to run interference so that your testers can concentrate on testing? Share your experiences so that others can learn from them. The act of preparing an article or presentation will solidify your own learning, and offering your ideas to others is a great way to broaden your education with feedback given from the wider testing community. Consulting is about learning to eloquently communicate your thinking. It's about understanding a problem or situation, then suggesting ideas that may help address it. Good consultants think inventively and laterally. Once you have established skill in some area, you might enjoy teaching it to others. Planning, preparing and delivering education material can be both challenging and incredibly rewarding. Learn how to create interactive classrooms and present information in an accessible way. Some people enjoy creating community by organising MeetUp groups, or conferences, or special interest groups, or weekend testing events, or crowd-sourced testing, or any number of other activities. If no one in your area has established a community event, why not create one? What other paths do you see? Do you have other resources I could add here? "You don't need to learn to code to do good coding, it's just another potent tool in your toolbelt, but there are other potent tools you can put there as well." As to resources under consulting I would discretely point towards J.Weinbergs works, especially "Secrets of consulting" and "More secrets of consulting" even though they are books and not online resources. Very nice summary of a comprehensive core of what software testing is all about, props!